The After Party will feature a host of activities in the marvelously remodeled 583 Park Avenue Arcade. 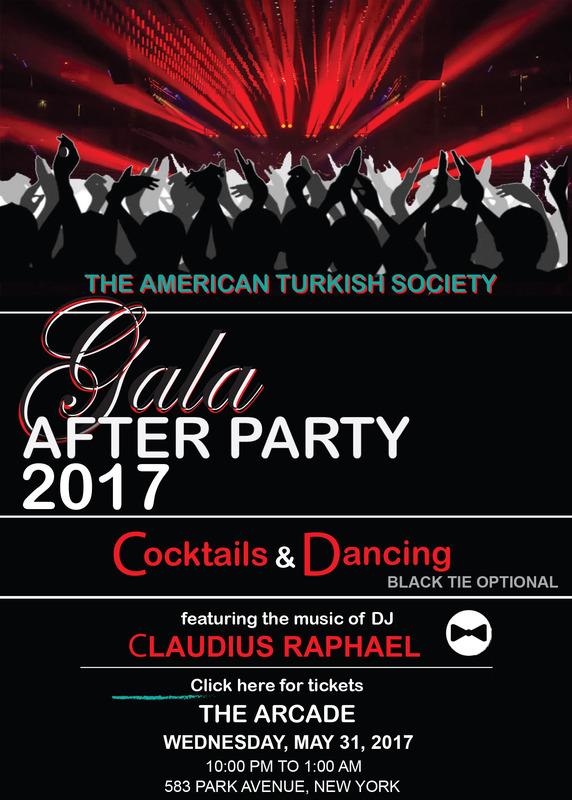 Black tie optional, but dress to impress because you will be rubbing shoulders and sharing drinks with some of the most prestigious business leaders in the Turkish-American community. The well-renowned DJ, Claudius Raphael, will be performing as well. - Free entry for Gala Ticket holders. - Tickets are 52% Tax Deductible.